Labour leader Joan Burton has ruled out any early election pact with Fine Gael, describing the coalition as "a marriage of arrangement which has worked well for both parties". The Tánaiste was responding to remarks by former Fine Gael advisor Frank Flannery who called the relationship between the two parties "a bad marriage". Speaking at the MacGill summer school in Donegal, the longtime political strategist said that the best chance for Fine Gael and Labour to return to power was to contest the election as a government rather than as two individual parties. He said that despite their regular alliances, the two parties "don't really like each other". However the Tánaiste ruled out any such arrangement at this juncture and said that she wanted the Government to run its full term until next spring. "It's far too early to talk about electoral pacts. The Government still has a lot of work still to do, and I would be very ambitious and anxious to see the term completed," she said. Ms Burton added that there has been "a lot of creative tension between the two parties on different occasions," but that it had benefitted the Irish people. "Lots of marriages have tension and some of that tension can be very creative if the parties want to stay together." Defending the Labour party's low figures in recent opinion polls - the latest poll at the weekend put the party's support at 8pc - she said: "Because the election is some distance away, people have not yet begun to focus on the makeup of the next government." She added: "We've seen a plethora of new small parties being formed and at this point in time the only issue in the election would appear to be giveaways from them." Fianna Fáil leader Micheál Martin also ruled out any pact with Fine Gael. "The people will decide who forms the next government," he said. "I think there'll be a lot of surprises to the election, it's wide open. We've had a government with a huge majority and that's been very unhealthy." Earlier, Dun Laoghaire councillor Mary Hanafin said that Fianna Fáil are now "more transfer-friendly than we were in the last election. Hopefully that means we'll be back far stronger." 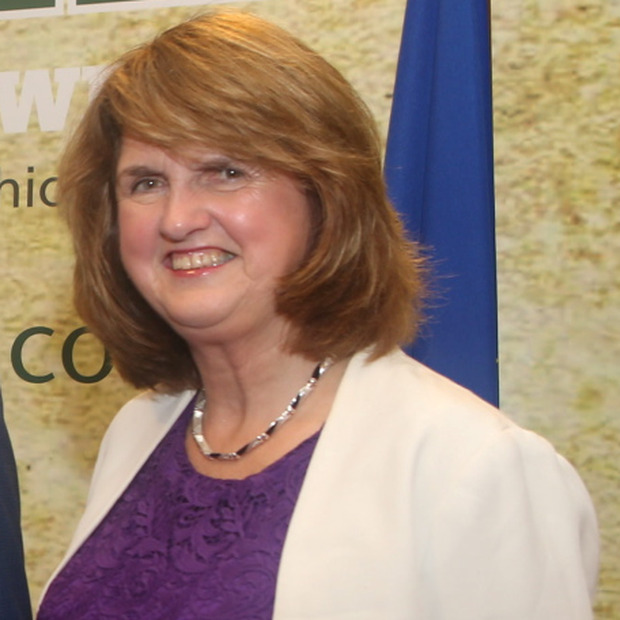 Both Micheál Martin and Joan Burton were speaking at the summer school last night along with Sinn Féin TD for Donegal, Padraig MacLochlainn who stepped in as a last-minute replacement for Mary Lou McDonald.